Ideal for personal trainers who want to build an online community and provide an exceptional customer experience to their existing clients. More than 75,000 trainers and fitness businesses rely on Trainerize to grow and market their services, manage their clients' training and nutrition plans, and build an online community. Trainerize provides users with the tools they need to track their clients' activity and progress, and also helps users easily create custom workouts and meal plans. The system is particularly useful for online personal trainers. Is Trainerize the Right Software for You? Trainerize is a widely used desktop and mobile app that is designed to help personal trainers increase sales, build client relationships, and deliver exercise and nutrition programs in person and online. The software enables trainers to simplify the process of creating, packaging and selling their services. Trainerize helps streamline all aspects of running an online personal training business, from workout scheduling and processing payments, to instant messaging and video exercise instruction. Users can integrate Trainerize with more than 1,000 external apps, making it one of the most functional and feature-rich software solutions on the market. Trainerize also enables fitness businesses to market their services on the Trainerize.me platform, which has over 300k active users. 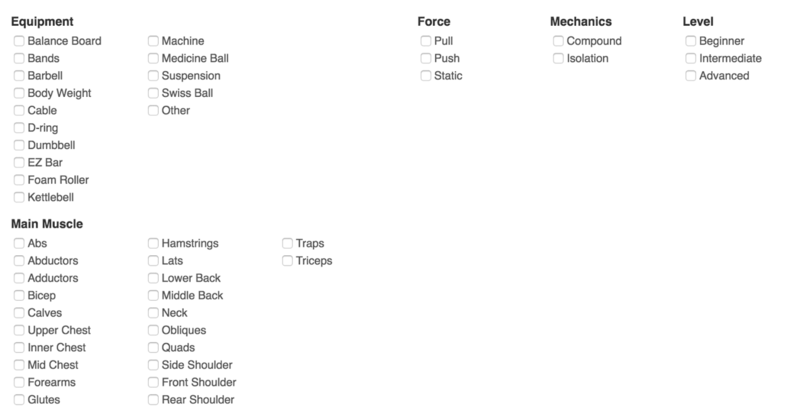 Comprehensive workout builder enables trainers to create many types of programs for clients. Trainerize listens to the feedback from their community and makes ongoing upgrades to features and performance. Users have reported that the Trainerize app occasionally crashes. However, the company is continuously releasing updates to introduce new features and rectify bugs. Competing with other trainers on the Trainerize.me platform can make it difficult to stand out. Exercises are limited compared to similar software such as My PT Hub, which has a catalog of over 7,500 different exercises. The software relies on integrations to add functionality beyond core training services, which may be subject to future changes by the third-party company. Trainerize offers 4 plans with varying price points, depending on the number of clients you work with. FREE PLAN: Free for up to 1 client. STUDIO PLAN: $60-$300/month, based on number of clients (billed monthly) includes unlimited trainers and 2 locations. Custom branded mobile app is only available as an add-on for paid plans, and incurs a one-time setup fee of $99 or $199, depending on how much help you need with logos/design assets. Trainerize is a widely used desktop and mobile app platform that provides a comprehensive fitness solution for personal trainers, clubs, and other industry professionals. Used by more than 75,000 businesses and 300,000+ active members, Trainerize enables trainers and fitness businesses to build relationships with their clients, create and manage workouts and nutrition plans, and automate processes to increase productivity. Trainerize provides powerful workout tracking capabilities, and offers various levels of customization (programs, plans, workouts, and exercises) to help trainers construct the best fitness solution for every client. The Trainerize mobile app is designed to address the needs of both clients and trainers, but many users have reported issues with the app crashing and freezing on both Android and iOS platforms. However, the company is continuously releasing software updates and fixing bugs across both apps. Trainerize helps trainers engage with their clients and motivate them to succeed, by providing core features like training, nutrition, client messaging, and advanced client tracking. By connecting Trainerize with Zapier, users can integrate with programs they're already using, like Evolution Nutrition to sell nutrition plans, MINDBODY Online for appointment scheduling, MailChimp for email marketing automation, and MyFitnessPal for nutrition tracking on the client side. See the full list of available integrations here. The company also provides email, live chat, and phone support (Monday to Friday), in addition to an online help center. Users report that the company is quick to respond to feedback and vigilant about implementing new features to help their customers succeed. Below are the key features of Trainerize and how they benefit your fitness business. Trainerize enables users to conveniently schedule online personal training services with their clients. Trainers can use the calendar to add, track, and review programs for each client in just a few clicks. 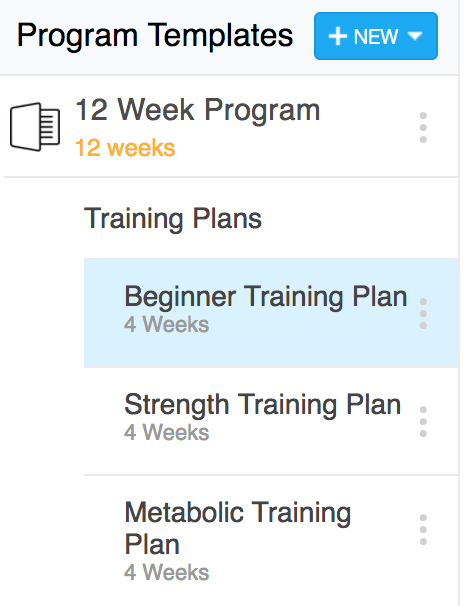 After allocating a training program to a client, trainers can use the calendar to schedule key events such as workouts, cardio days, meal plans, progress photos, and body stats, based on the training plan. Events are color-coded, and clients can check off a box for each session to create a quick snapshot of progress. Trainerize will also send a notification reminder to clients on the day of an event. Trainers can use the calendar to track missed sessions and hold their clients accountable. Alternatively, once trainers have allocated a program to a client, they can allow the client to schedule sessions on their own time. One of Trainerize's core features is its comprehensive training solution, which includes programs, plans, workouts, and exercises. Trainerize provides the flexibility to customize and create individual programs for clients. Programs are designed to deliver a comprehensive roadmap to help your clients achieve their long-term fitness goals. Programs are built from a series of training plans that can be broken down into a specific time period. For example, you may create a 12-week program that includes a “Beginner Training Plan, a “Strength Training Plan” and a “Metabolic Training Plan,” each of which is 4 weeks long. This provides users with maximum flexibility to be able to construct different phases to help their clients progress. Training programs can be shared with one or several clients, and any changes made to programs will be rolled out to all subscribed users. Training plans are targeted towards a client's specific goal and are built from a series of workouts. Once you have set a program, you can begin to construct workouts that will make up your training plan. For example, a “Strength Training Plan” may last for 4 weeks and will include all the workouts that need to be completed during that time, focusing on a specific goal (Strength Training- Day #1, Day #2, etc.). 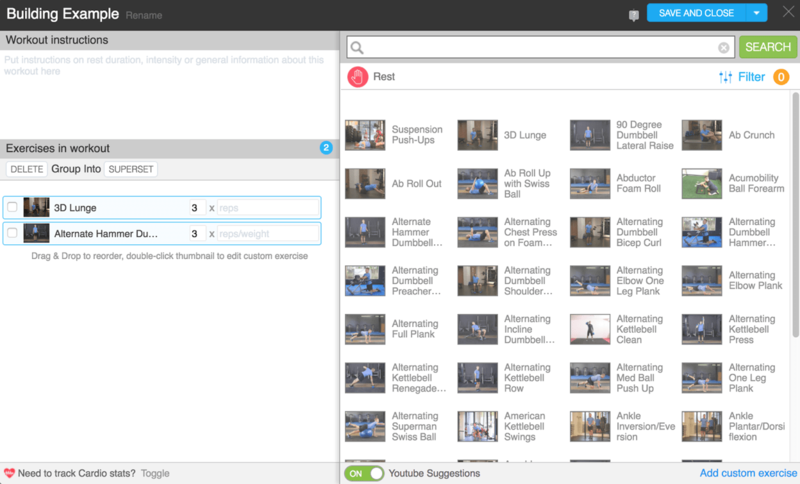 Trainers can pick and choose from hundreds of exercises available in the Trainerize library. Each exercise includes professional instructional videos and detailed descriptions to help clients achieve correct form. The company is continually updating and adding new videos to their library. Trainerize also allows you to import your own videos from YouTube or upload videos to the in-app video drive (up to 5 minutes in length). The exercise library also has an advanced tagging system that enables you to quickly filter and find specific exercises and keep your workouts organized. Clients can access their workouts in PDF format (for printing), or via the Trainerize app. 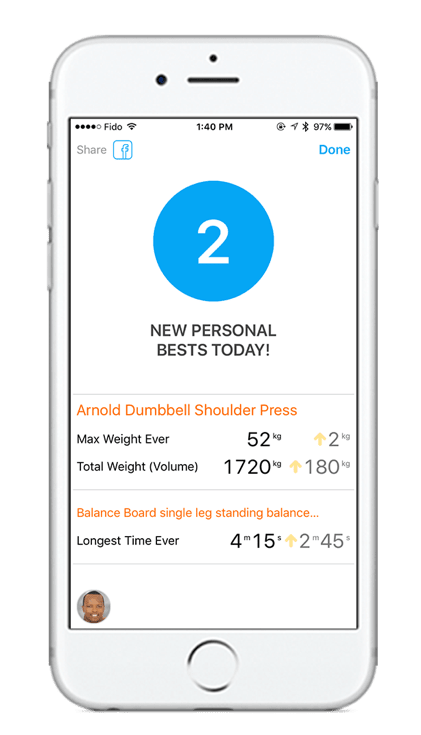 When using the app, clients can track progress and enter workout information on the spot (such as the number of reps completed, amount of weight lifted, etc.). Delivering a balanced training schedule, complete with nutrition, is essential to achieving results for your clients. Trainerize provides several different options (both paid and free) that allow trainers to build nutrition programs and deliver more value to their clients. Trainerize has incorporated feedback and partnered with Evolution Nutrition (a web-based meal planning platform), to provide trainers with access to hundreds of professional meal plans, with the ability to customize them as needed. However, this integration comes at an additional cost of $29 per month. Users also have the option to add PDF meal plans for clients. Although add-ons (such as Evolution Nutrition) make this easy, you can use this functionality to quickly upload your existing meal plans to the Trainerize platform in PDF form. 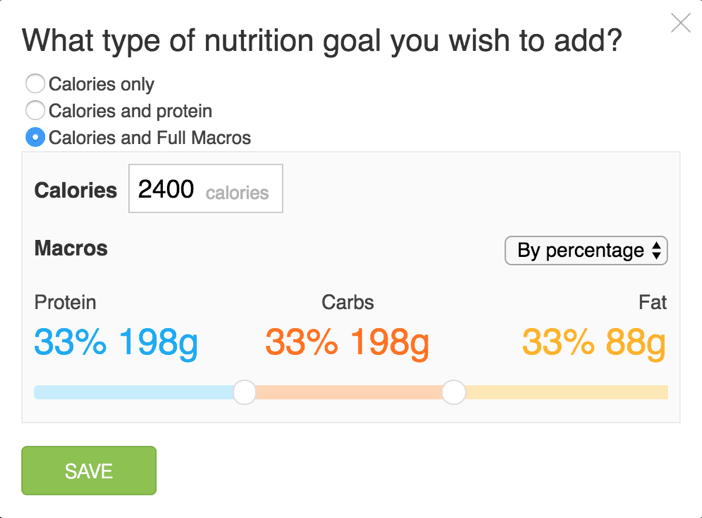 Calories and macro goals can be set to accompany meal plans, which helps trainers provide an add-on service. A PDF meal plan works well with the MyFitnessPal app integration for clients. MyFitnessPal is a crucial integration that enables clients to track nutrition. However, one downside is that this app can only be synced from the client side, and is not available to trainers. This integration provides a simple solution for clients to track macros and meet their goals. 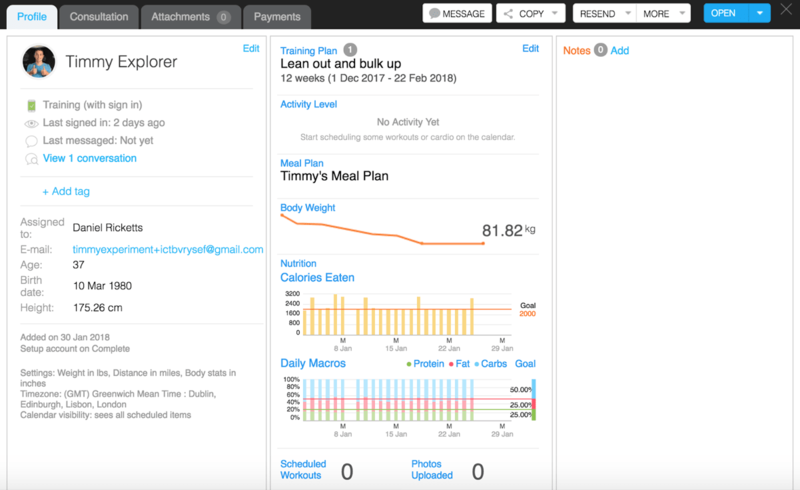 The app provides a snapshot of macro intake through clients’ daily calendars in Trainerize. Clicking on each day offers further insight, while the dashboard shows an overview of your clients' progress. Keeping your clients motivated and engaged is a challenge for any trainer, especially if you provide your services online. You need to maintain regular, constant communication with clients to ensure that you're providing them with continuous support and guidance. Trainerize provides many features to help trainers keep the communication lines open. An in-app messaging system enables user to send individual or group messages to clients. Users can also set up automated messages to keep their clients engaged, provide support, and remind them about key milestones. Managing multiple client messages is very straightforward with the Trainerize inbox, as trainers can set different topics, archive messages, and manage all communication in one central location. A key feature of Trainerize is the option to build “Groups” that include several clients and trainers. Trainerize Groups are essentially private chat rooms that help you build stronger relationships with your clients and help them work towards a common goal. Training Group (Master Program): Place your clients on the same training program, where they can follow each other’s progress. This is the perfect option for group online personal training services. Fitness Community: Build engagement and start a conversation about different topics. Clients can post and engage with one another about all things fitness! Peer Support Group (Nutrition): Boost accountability and help your clients reach their nutrition goals. Clients can post meal photos and ask questions. Custom Group: Start your own group about anything and keep your clients engaged! Trainerize's comprehensive client management dashboard enables trainers to quickly add new clients and keep track of each client’s training, nutrition, progress, and payments—all from one central hub. The ‘Add New’ button allows trainers to sign up clients from any device. Generating an account is quick and easy, as client details can be uploaded from Facebook profiles and incoming emails from Trainerize.me. When a client is added or accepted, Trainerize automatically sends the client a consultation form, contract, waiver, and Physical Activity Readiness Questionnaire (PAR-Q), which can be completed online with an e-signature. 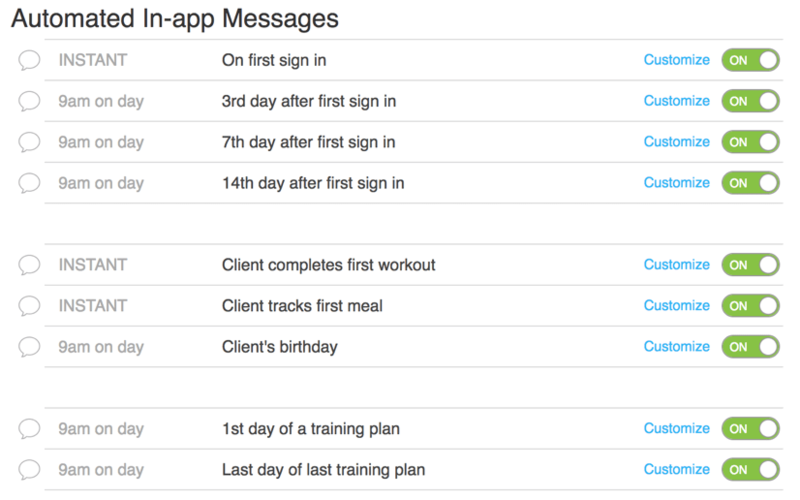 The client management dashboard enables trainers to efficiently locate clients by using filters, such as ‘Assigned Trainer,’ and organize clients by using customizable tags—for example, ‘Not Messaged Lately,’ ‘Personal Best Last Week’ or ‘Hasn’t Logged In Recently.’ Tags are highly beneficial for trainers who are managing a large number of clients, since it allows them to keep track of recent achievements and ensure they are staying in contact with all clients on a regular basis. Client Alerts also help trainers stay organized by automatically notifying them when a client needs attention. For example, if a client’s training program has expired, you will receive a push notification on your smartphone, tablet or desktop to create a new training program. Alerts are color-coded in green, orange, or red, according to urgency level, which helps trainers prioritize which clients need the most attention. The client profile stores personal details about a client, their training plan, meal plan, recent activity and overall progress. Convenient tabs enable trainers to quickly view consultation forms, attached documents (such as X-rays, surgery notes, etc.) payment history, and client messaging. From the client profile, trainers can also switch directly into the client’s account, where they can edit the client's workouts, nutrition plan, and calendar. If clients are receiving a personal training service online, they need access to software that can motivate them to achieve their health and fitness goals. Trainerize’s client account delivers on all fronts, and is accessible to both the trainer and client via the mobile app or a web browser. Clients can access their complete training program, which features a quick summary of the week’s workouts, along with the day’s program and detailed exercise instructions, including videos and written steps. Clients can also view and download a PDF of their customized meal plan, which includes the number of calories and macros for each meal. 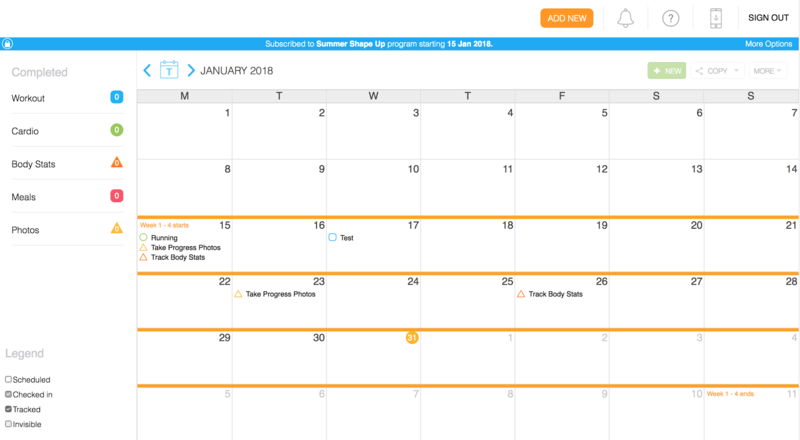 Clients can view the interactive calendar to get an overview of the month's scheduled weight and cardio sessions, upcoming body stat measurements, and planned progress photos. 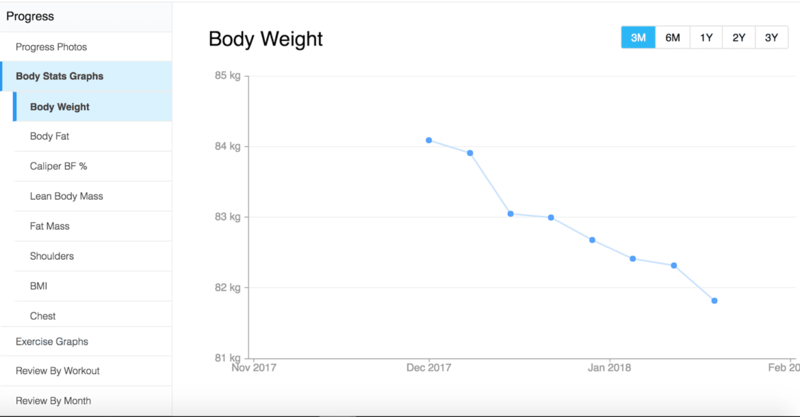 Clients can also look back over the month and see exactly how many calories and macronutrients they consumed each day, provided they connect Trainerize with MyFitnessPal. Trainerize makes it easy for clients to track their progress with a visual graph, metrics, and progress photos. Body stat graphs indicate changes in BMI, body measurements, and lean body fat over time, which helps clients stay motivated and accountable for their goals, whether they involve weight loss, toning, or building muscle. Clients can also record and view their progress across different exercises. For example, clients can keep track of their 1 rep max bench press, or the maximum repetitions of a bicep curl at a given weight. Trainerize enables users to charge clients using Stripe, PayPal, or Shopify. Out of all these options, Trainerize Pay is the newest in-app payment solution that offers the most seamless experience. Powered by Stripe, the Trainerize Pay allows trainers to accept online payments for their services securely within the app, for an additional $2/month. To set up recurring payments, you would simply need to enter your client’s credit card, direct debit or PayPal details. Trainerize will then automatically deduct payments based on program start and end dates. Access to programs is synced with a client’s payment status, so it can automatically bar access if a transaction fails after three attempts. 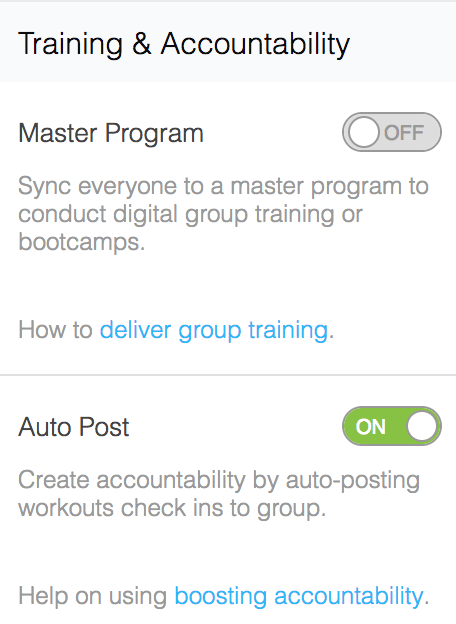 Trainerize Pay also includes a built-in automation feature, which allows trainers to set up a series of actions that should occur when a client pays for a product. These actions are entirely customizable and can include sending a consultation form, assigning a pre-training program, and permitting client access to a particular fitness and nutrition plan. This helps immediately engage and onboard new clients so that they'll be more likely to stay customers in the long run. Unfortunately, Trainerize does not currently integrate its payment capabilities with gym management software like MINDBODY, so you won't be able to track payments processed by Trainerize in your gym management software, or vice versa. Trainerize also enables users to track payments in the Purchase History grid. You can filter purchases according to status, such as upcoming, active, failing payments or expired payments. Trainerize provides users with a standard mobile app and an optional branded mobile app (which incurs a one-time setup fee of $99 or $199, depending on how much help you need with image/design assets) for both Apple iOS and Google Android platforms. The Trainerize app enables clients to access their workouts and stream instructional videos wherever they have an Internet connection. The built-in interval timer can assist clients with circuits and interval training, and a drag-and-drop scheduler enables users to reschedule workouts as needed. Clients can sync the app with MyFitnessPal to track total calories, protein, carb and fat consumption, as well as with devices like Fitbit and Withings, to quickly import data on weight, body fat, and resting heart rate. This allows both clients and trainers to track progress from one central location. In addition to syncing with other apps, the Trainerize app allows each client to log their exercise and meals, view progress stats, and upload progress photos. One of the most useful features of the app is the built-in messaging system, which enables clients and trainers to stay in touch. The Trainerize app provides trainers with all of the same features and functions that are available to their clients. However, trainers are also able to access every client's profile and can build workouts and accept payments via the app. Some users have reported that the Trainerize app often crashes. However, many trainers and clients speak highly of Trainerize's on-demand app support, and the company is routinely updating the app and fixing glitches. In addition to marketing your fitness business through the Trainerize.me platform, the software enables companies to market their services efficiently with integrated social media sharing and free Trainerize graphics for promotional use. Branded graphics are supplied in professional formats (PNG, PDF, and PSD) and include logos, flyers, app screenshots, videos, and banners. All materials can be customized with your business’s logo and images to provide a professional look and feel. Trainers can also boost sales during low-traffic periods by offering their clients discount codes. Discounts make a great first impression and help get a client’s foot in the door. Trainerize also enables users to analyze and compare the effectiveness and popularity of discount codes. For instance, if you run a Facebook advertisement with a discount code, you can name the code “30FACEBOOK” and track how many sales originate from that specific ad. Trainerize users can gain additional exposure to clients through Trainerize.me, which is a web-based platform that is used by thousands of potential clients worldwide. As a user of Trainerize, you can create a profile on Trainerize.me to boost your online presence and attract new clients. Clients who are looking for a new trainer can log into Trainerize.me, via the website or app, browse personal trainer profiles, and contact their preferred trainer to automatically become a pending client. However, it's important to note that the platform is fairly competitive, as there are many personal trainers listed on Trainerize.me. This means that potential clients can also discover competing trainers through the platform. Trainerize.me syncs with Trainerize's software to allow you to efficiently manage/engage with incoming leads by sending out automatic emails when prospective clients visit your profile or contact you. The success of your profile can also be tracked through graphs that show views, "Contact Me" clicks, and conversions over time. Trainerize also makes it easy to market your services in Trainerize.me by customizing your profile with images and video. You can create a “Why Train With Me?” video, add your location and contact details, connect your social media accounts, and describe services offered and certifications. You also have the option to sell your products/services on your profile. Although Trainerize is marketed as a solution for both personal trainers and health clubs, the software is best-suited for online personal training businesses. Trainerize's features are particularly useful when it comes to helping online personal trainers maximize their productivity and deliver quality training to clients from a remote location. Although some users report that the Trainerize app crashes frequently, Trainerize frequently releases updates to address technical glitches. We recommend signing up for the 30-day free trial to ensure that the mobile app is reliable enough for you, and that all of the available features satisfy your needs, before you decide to invest in the software. If you run a full-fledged gym or fitness studio and are looking for a complete management system that allows you to manage group classes and sell a range of services and products, you may want to consider a more robust software solution, like MINDBODY. For personal trainers who are looking to save some money, you can alternatively consider using Google Docs (which is free) instead of Trainerize, to provide clients with nutrition and workout plans. However, using a powerful system like Trainerize can give your business a more professional appearance, and can help provide clients with an exceptional customer experience. This can play an important role in increasing customer retention, and in attracting new clients, which makes Trainerize a worthwhile investment if you're looking to grow your online peronal training business.